Welcome to Henna Industries Pvt. Ltd. We are part of the Henna Group, which is emerging very fast on the map of Indian haircare industry. We are in the hair color business since last 50 years and have penetrated the Indian market thoroughly. Our hair color products have already made their presence felt all over the world and we are already exporting our products to more than 50 countries. Apart from hair color business, we are also into real estate and education. While our businesses are growing every year, we have also initiated a CSR program. Under this initiatve, we have opened free dispensaries, mobile clinics for differently abled and hospitals. We are also organizing regular blood donation camps and regular medical camps. Our program also extends to organizing group marriages for the underprivileged, developing sport facilities for the society and conducting regular tree plantation drives to name a few. The brain child of Mr. Amit Gupta, the brand Color Mate was conceived and launched in the year 1999 with a range of herbal based hair colors. Color Mate was a well-researched, and unique formulation for coloring the hair packed with indian herbs like Henna, Amla, Shikakai and other precious Himalayan herbs. The brand became famous and got recognition in no time. Later, the company extended its range and launched various other products for the hair care. Color Mate is under the aegis of Henna Industries Pvt Ltd, a company fast moving on the map of Indian hair care industry. The group has been into the business of hair care for the last 50 years covering both domestic and international markets. 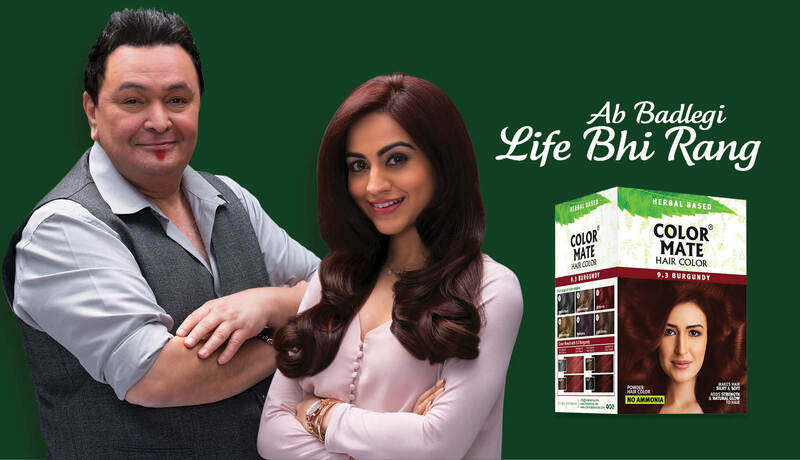 The Brain Child of Mr Amit Gupta, the Brand Color Mate Hair Color was conceived and launched in the year 1999 with a range of Herbal Based Hair Colors, a well researched and unique formulation for coloring the hair. © 2018 Copyright Color Mate, All Rights Reserved.